Coming August 10th – Murder can be fun – with two lovable old ladies, that have 13 bodies buried in their cellar! 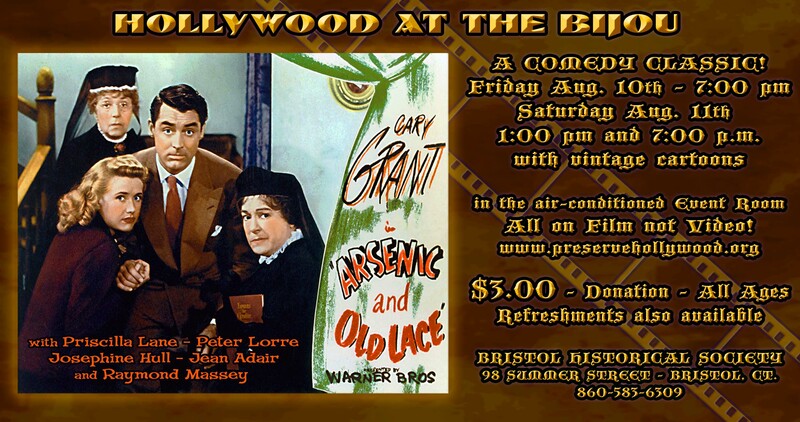 “ARSENIC & OLD LACE”plus vintage cartoons, In air conditioned comfort! – Shown on film, not video. Fri. Aug. 10th 7:00 p.m. & Sat. Aug 11th at 1:00 p.m. & 7:00 p.m.